Unique appeal of traditional feel, Suitable for daily pooja. Decorated by oil paints and stones. Size of the product: 10" (L) x 10" (W). Kalash is one of the important components while performing everyday rituals. This beautiful Kalash is made of copper and is decorated with oil painting and embellished with colorful stones. 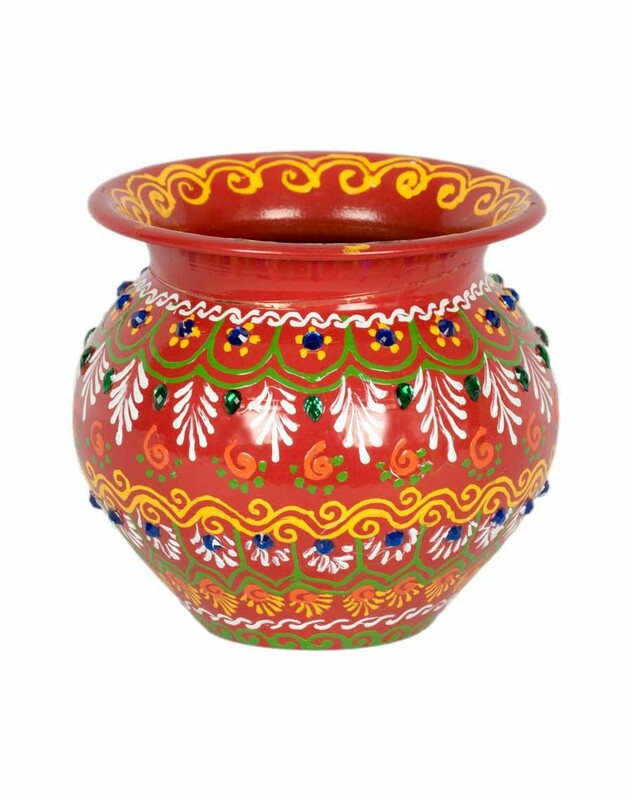 Add a colorful twist to your everyday Pooja using this copper Kalash. Highly skilled artisans work painstakingly and lovingly on each piece preserving its uniqueness and beauty to make it everlasting. Be it a Personalized gift, Wedding Gift or Grah Pravesh.